Even though Microsoft and Apple have been the worst of enemies when it comes to business, but recently the scenario has turned upside down. Microsoft is seriously concerned about Apple’s product and vice versa. Microsoft is currently working on improving digital ink technology in Apple iPad. This is the only device other than the recently launched Surface Pro 4 and Surface Book, that is getting the high end technology for the OneNote software. Microsoft is trying to ameliorate the pen and paper by Fifty Three. Fifty Three released a touch sensitive pen called Pen and an associated note app called Paper. 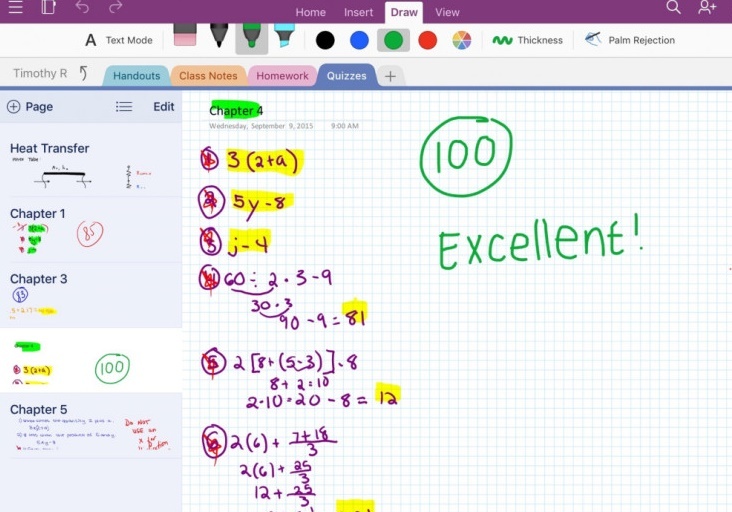 The app has become quite popular and it’s now that Microsoft wants to revamp the features of Pen and Paper in collaboration with its OneNote app for iPad users. Apple CEO Tim Cook had told long back that the two tech giants can forget their rivalry for the sake of users’ benefit and this is another example of their apparent friendship. So OneNote will incorporate the mighty features of Pencil, like Surface Pressure, Erase, Blend, and Palm Rejection making it apt for Apple’s stylus. The most interesting aspect that Microsoft is trying to improve is the Ink Shape Recognition technology. The Ink Shape Recognition is a smart tool that will be able to automatically convert basic hand-drawn shapes to perfect-looking ones. So however bad circle, square or circle you draw, however curvy you straight lines are, this technology by Microsoft will recognized the patterns you are trying to draw and will perfectly draw it for you. The highly coveted feature is coming to iPad, iPad Pro and Windows 10, called Ink Shape Recognition.